The University of Bristol Innocence Project has submitted an application to the Criminal Cases Review Commission (CCRC) — the independent public body set up to investigate possible miscarriages of justice — on behalf of Neil Hurley, who is currently serving a life sentence for the murder of Sharon Pritchard. Sharon Pritchard, who is Mr Hurley’s ex-partner and mother of their two children, was found dead in a playing field of Croeserw Primary School, South Wales, on the 30 August 1993. Mr Hurley was arrested a few days after Sharon Pritchard’s murder. There was no physical evidence linking Mr Hurley to the murder. He was convicted primarily on the basis of his acrimonious relationship and alleged history of violence with the victim. At trial, it emerged that two vital suspects were overlooked during the police investigation, one of whom arrived home on the morning of the murder with his clothing covered in mud and blood, none of which were subjected to any forensic testing. Subsequent to Mr Hurley’s conviction, a possible alibi for Mr Hurley has emerged that might prove that he was at home at the time of the murder. A number of witnesses who testified against Mr Hurley at trial have also retracted their evidence, claiming that they were coerced by police officers into giving false evidence against him. In addition, a blood-stained sock was recovered half a mile from where Sharon Pritchard’s body was found. Blood-grouping analysis was conducted on the sock and yielded results that matched neither the deceased nor Mr Hurley and was deemed by the forensic scientist to be ‘irrelevant to the crime’. Mr Hurley’s case was allocated to the University of Bristol Innocence Project by the Innocence Network UK (INUK), the umbrella organisation for 26 member innocence projects in UK universities, shortly after his third application to the Criminal Cases Review Commission failed. The Criminal Cases Review Commission is the official body that reviews alleged miscarriages of justice in England, Wales and Northern Ireland and refers cases thought to have a real possibility back to the appeal courts. The investigation by the University of Bristol Innocence Project has involved several teams of students over the last five years. They found that a number of police officers involved in Sharon Pritchard’s murder investigation were also alleged to have caused several high-profile miscarriages of justice. Two key police officers in Mr Hurley’s case have also recently been convicted of conspiracy to commit misconduct in a public office and conspiracy to commit fraud. More recently, the possibility of exoneration through DNA testing was identified when Gabe Tan, Casework Manager, uncovered over a hundred exhibits recovered from the crime scene, the victim’s body, Mr Hurley and other suspects that were never subjected to any form of DNA testing. At the time of the original police investigation in 1993, although DNA testing was already available, the technique was still at its infancy and not regularly used by the police. The main forensic technique utilised in the investigation was rudimentary blood-group testing which was highly limited as it could not be applied to exhibits which did not contain blood. In addition, even for items that did contain blood, many of the blood samples were either too degraded or insufficient in quantity for blood-grouping analysis to be successfully conducted. These problems with blood-grouping analyses can be circumvented by advanced DNA testing today. 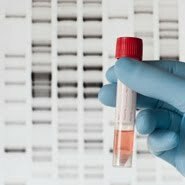 Over the last decade, the development of new DNA techniques such as Low-Copy Number and Touch DNA can yield DNA profiles from degraded and minute quantities of biological material where standard DNA tests might not. These tests could potentially exonerate Mr Hurley. Almost 13 years on from his first application to the Criminal Cases Review Commission, Mr Hurley remains in prison three years past his tariff date, the date that he could have been released on parole, when the means of potentially validating his claim of innocence are still waiting to be pursued. The University of Bristol Innocence Project urges the Criminal Cases Review Commission to conduct a speedy and full investigation into Mr Hurley’s latest application and to undertake without delay DNA testing of the exhibits from the crime scene that might settle his claim of innocence.